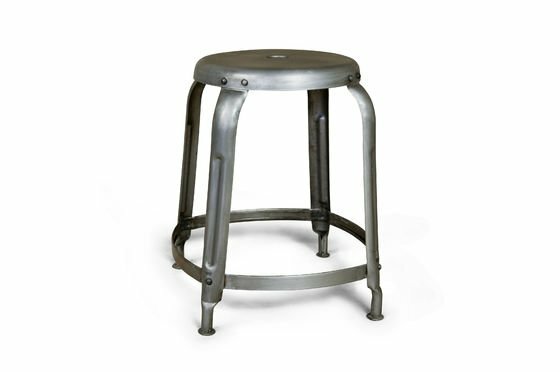 You will love the many visible rivets and the barely distressed metal finish, which gives this stool its timeless industrial style. Its practical central handle makes it easy to move around, and it is designed to be stackable so you can make the most of your space. 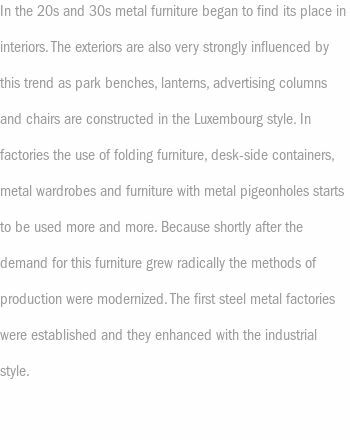 Lastly, this chair is very comfortable thanks to the very rounded seat edges, and a horizontal foot-rest. 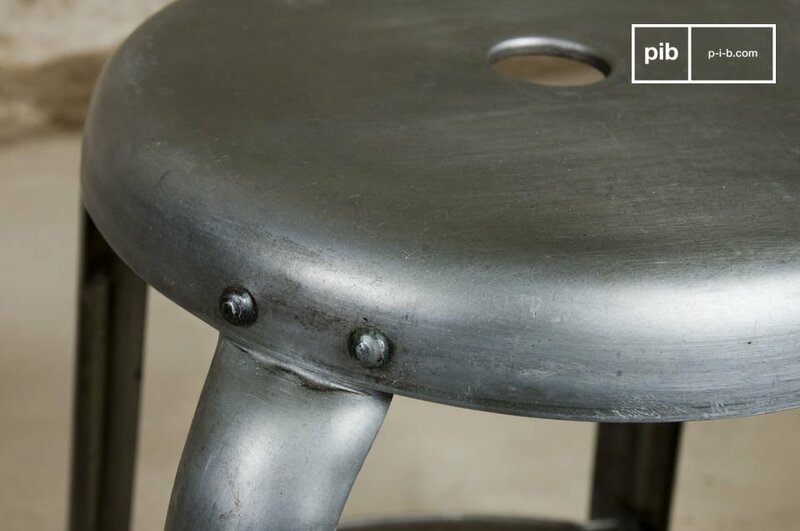 Decorative tip: use a pair of stools as bedside tables, one on each side of the bed. 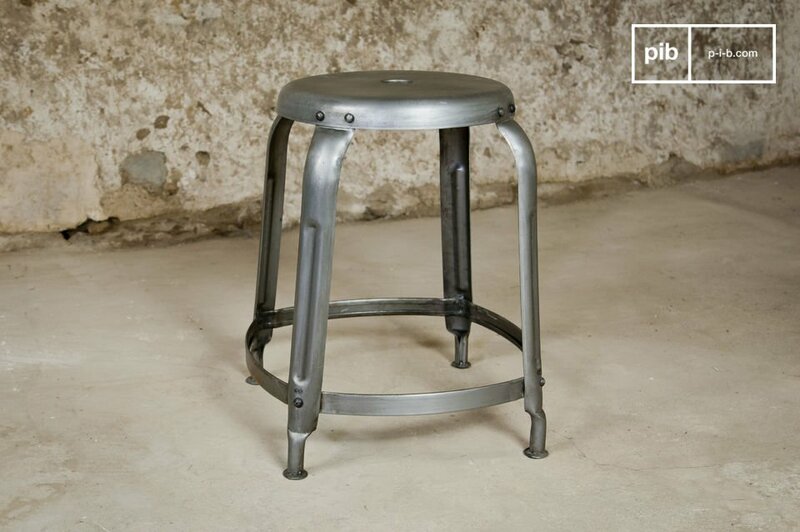 Also available in black, or as a bar stool version (75cm high).